The Gables is a fascinating Gothic Revival home at 11 South Village Green, behind the John Baker House. The house was designed by mathematician David Baker and built between 1832 and 1846 as an upscale lodging for lawyers in town for the Ipswich court. He was unable to repay the money he borrowed from Augustine Heard, who took possession. 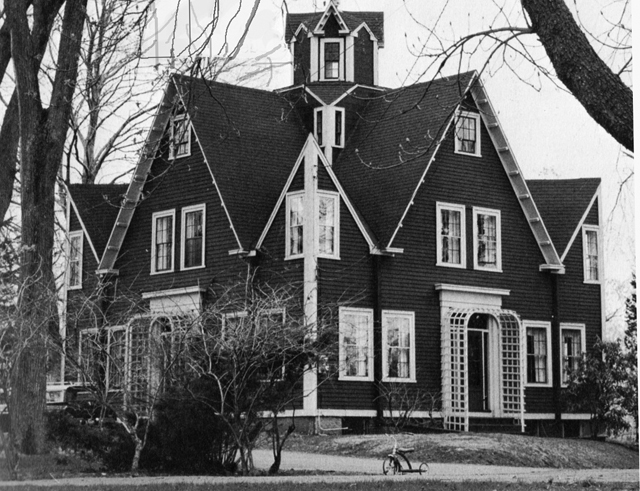 The house remained in the Heard family through the early 20th century. Augustine Heard is said to have been impressed by Orson Squire Fowler, who popularized the octagon house in the middle of the nineteenth century. In the 1920’s Nellie Huckins purchased the house and ran the Gables Tea Room there.